Scottish national flag with the yellow starts of the European Union. 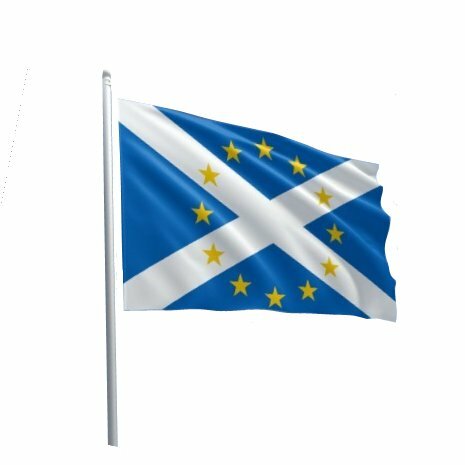 A popular flag used during the BREXIT debate by supporters of Scotland to remain in the EU. + Flag size: 150x90 cm (3'x5').